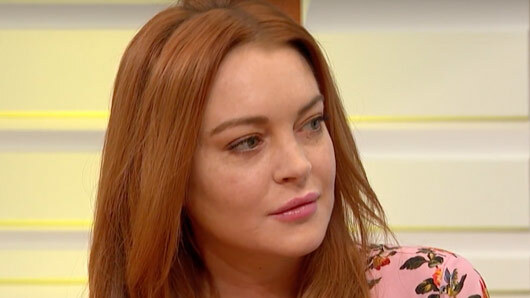 Lindsay Lohan appeared on Good Morning Britain today to discuss everything from her troubled past to contemporary politics. The 30-year-old actress joined hosts Piers Morgan and Susanna Reid on the breakfast show this morning, admitting that she is now ready to leave her wild youth behind her. When asked about her previous involvement with alcohol and drugs, Lindsay replied: “I don’t think I ever ‘turned’ to anything, I think it was just very accessible and I was 16,17,18,19, I’d been working so much and surrounded myself with the wrong people, and going out and drinking was an easy thing to do. And I didn’t listen to anyone. Rumours that Lindsay had converted to Islam were recently sparked after the actress was pictured carrying the Qu’ran under her arm. The celebrity also deleted all of her Instagram pictures in January this year, leaving just the words “Alaikum salam” in her bio. The Mean Girls star addressed rumours, explaining: “Me studying the Qu’ran is something I find solace in. I do study it. Nothing is confirmed yet. “I think any religion anyone chooses is a personal belief, my sister’s a Buddhist. [Converting] is a consideration I have, I don’t want to speak on something I haven’t finished yet, I don’t think that’s right. The topic of conversation soon turned to politics in her country and specifically what she thinks of her president, Donald Trump.